We acknowledge that some of these questions are subjective, so just do your best! No chat is allowed in the Feedback section, please take chat to the discussion thread here. Please give each question a rating 1-3 with 3 being the best. Please explain ratings lower than 3. You may include photos to help explain your ratings, whether high or low. Thank you! I just received a doll from Vividdolls last collection. Alis is a very beautiful little doll ( 29 cm ) made with outstanding craftsmanship. Polina is a great person to work with, very friendly and reliable. I would recommend her to anyone who is interested in buying her dolls. Good communication?- great and prompt communication, very friendly. Rating is 3. Prompt shipping? - shipped by EMS, fast and reliable. Rating is 3. 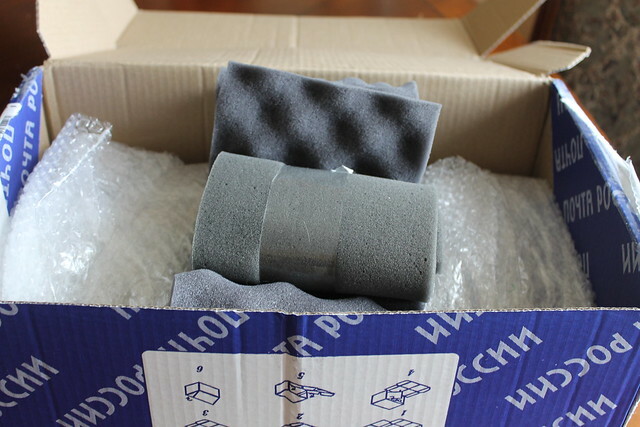 Quality of packaging: -very good and secure packaging. Rating is 3. Did the quality match the price?- yes, very good quality. Rating is 3. Item as pictured and described?- yes, rating is 3. Quality of porcelain (too thin? Rough spots? ):- very nice porcelain, rating is 3. Quality of tension (does the doll hold poses? Too loose and floppy? ):- hold poses nicely, not floppy, assembled on elastic. Rating is 3. Quality of paintwork:- absolutely stunning painting, rating is 3. Quality of sculpting:- beautiful. Rating is 3. Quality of accessories (box, stand, wig, clothing, etc):- doll arrived in the wooden box with Vividdolls logo on the top. Inside of the box is laid with foam to protect the doll. Rating is 3. Other comments?- i am very happy with this transaction. Would you order from this company again?- would buy from Vividdolls again.